In Tivoli, individuality is written large. 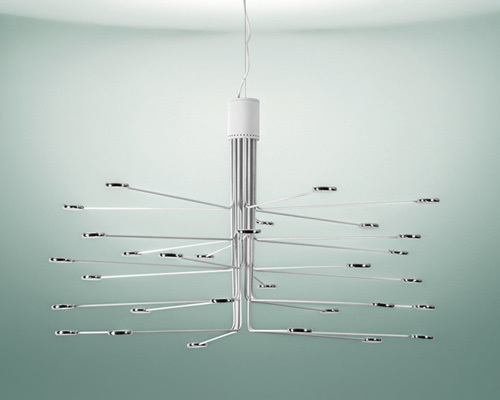 The lamp is modular and can be assembled as required. While the structure may be chosen in two colours (chrome or gold), arms and flowers can be colour-matched. 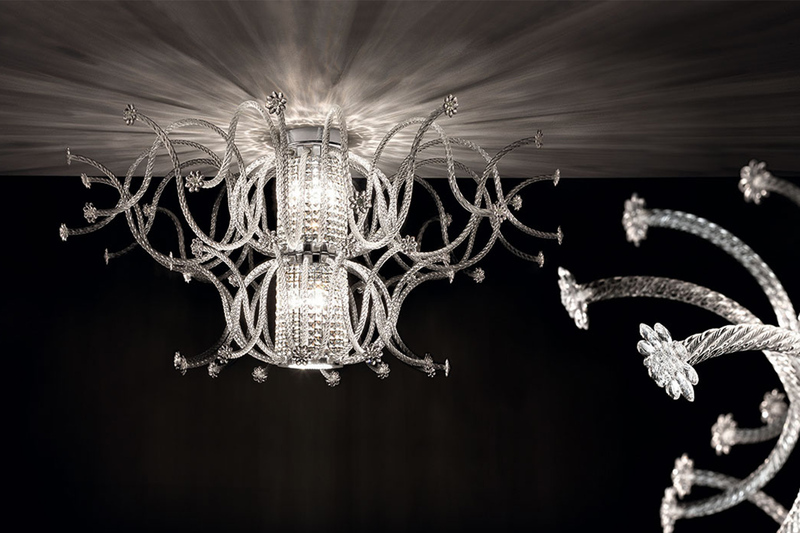 The arms are available in clear glass, Fumè or cognac, the flowers in clear glass, chrome or gold. Different arm lengths can be used to achieve a larger diameter and several basic parts make up a longer body. 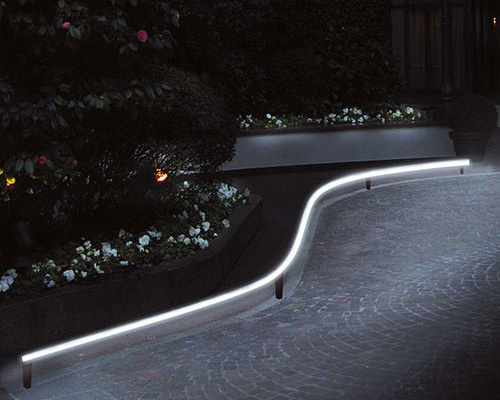 Tivoli serves therefore as equally voluminous eye-catching, as well as slim lighting of stairways. 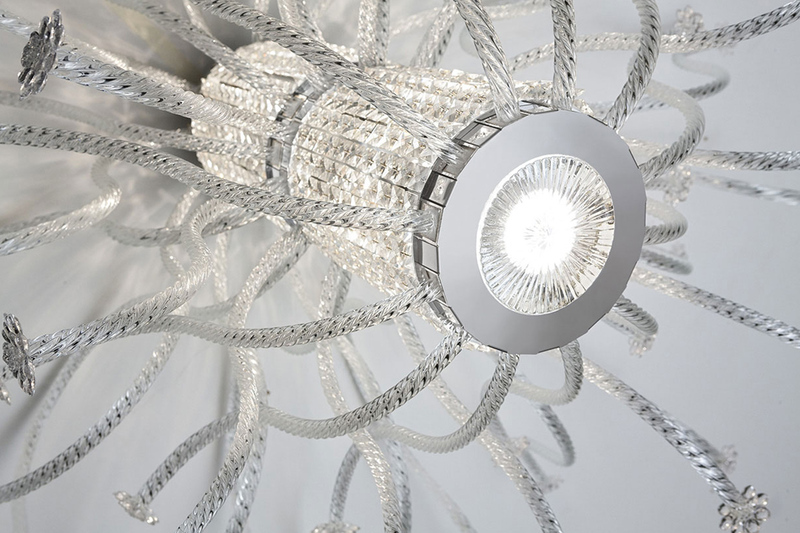 The Tivoli lamp consists of a variety of materials – crystals make the inner body for effect, glass-arms create volume and small lightweight polycarbonate flowers, which could be confused with crystals, offer the conclusion on the outside. The lamp has internal E27 sockets which can be fitted with LED bulbs and so the lamp becomes maintenance-free. 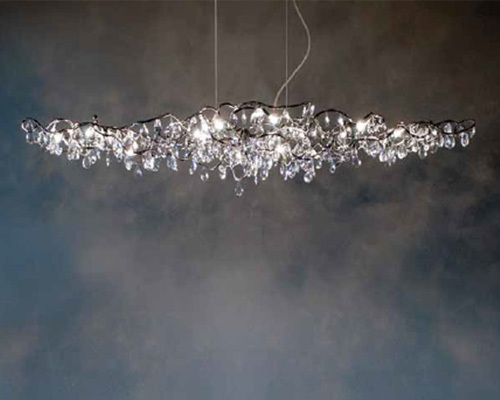 The bulbs are hidden from the crystals, so the light is diffuse. 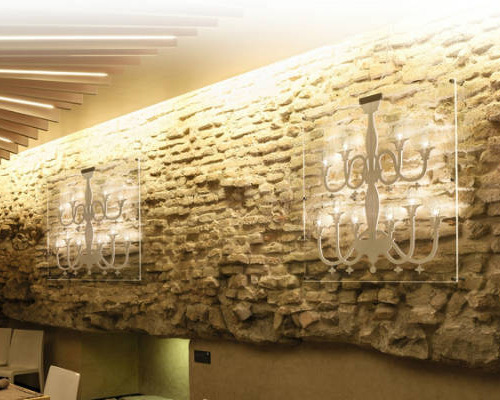 The conclusion of each Tivoli light at the bottom is a LED module with 15W, which emits diffused light and is dimmable.